There’s an extremely good chance you’ve heard of CBD. Whether it’s because health-conscious folks in our orbits are discussing it, or because CBD is the most-researched compound of the cannabis plant, its existence is common-knowledge for most of us. Here are the major ways this non-psychoactive ingredient of cannabis is being used today. You’ll often find CBD combined with other pain-relieving ingredients like wintergreen, willow bark, and Shea butter when it’s a topical medication. When it’s a tincture you’re meant to drink, CBD is likely the only active ingredient. 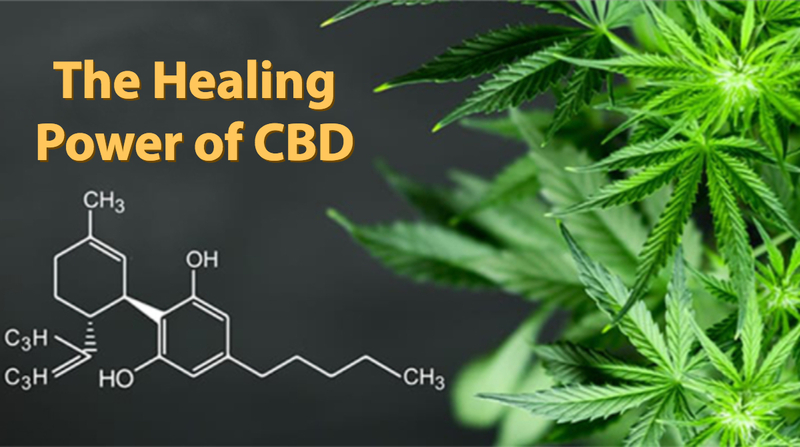 However it’s administered, CBD has been shown to effectively treat chronic pain, making it an intriguing alternative to over-the-counter pain killers. While CBD actually has shown promising signs of increasing serotonin levels, its ability to relieve stress could be the main reason it can effectively treat depression and anxiety. In particular, the symptoms of stress-related mental health issues can be greatly reduced by CBD usage. Self-diagnosing depression and anxiety is dangerous, however, so using CBD to ease these conditions (or similar) should be in close collaboration with a psychologist and physician. All of CBD’s general effects on our body can help with sleep. Intuitively speaking, if you’re more relaxed and comfortable, you’re more likely to fall asleep faster. However, evidence also suggests that CBD can help reduce our REM cycle of sleep, which is when we dream. Those of us prone to nightmares or stress dreams can have a far more effective night sleep if our blood pressure isn’t cranked up by our subconscious. CBD has been shown to — no kidding! — speed up how quickly we break down fats and burn calories, all while slowing down fat cell generation. You’ll find CBD in all sorts of cleansing and sports drinks in California. You can also order it online. Just make sure to look into the brand first – and that the other ingredients are good too! Studies have provided compelling evidence that CBD helps strengthen bones over the short- and long-term, which could prevent against (or at least postpone the development of) conditions like osteoporosis and osteoarthritis. CBD is also considered helpful in the management of both conditions, so it’s sort of a double whammy in that regard. Researchers have seen significant success in using CBD oil concentrates to treat melanoma and carcinoma skin cancers. Animal testing revealed that CBD may reduce the risk for colon cancer, while one human study showed that regular cannabis usage could lower the risk of bladder cancer by almost 50%. CBD’s anti-inflammatory and appetite-inducing effects (alongside other cannabis compounds) are also used to combat the negative side effects of cancer treatments, particularly chemotherapy. All of the above should be completely ignored in favor of the advice of a medical professional. Be sure to discuss dosage amount and frequency, as well as other options, with a trusted physician, ideally one with an intimate knowledge of your health history. Just like with any other sort of medical treatment, regular follow-ups and check-ins will help in the ongoing pursuit of getting the right dosage for your needs, body type, and lifestyle. Further, CBD simply doesn’t have a noticeable effect on some people. Whether it’s because their condition isn’t right for the compound or their body just doesn’t respond to it, it’s not uncommon for someone to try it out to no avail. A person’s diet can also be a factor, as well as their other medications. Don’t just dive all-in. Use CBD as directed by your doctor and tweak it (with your doctor) as needed. It could be a game-changer, though, so it’s definitely worth considering!